Welcome to Life in Motion, thanks for stopping by! My name is Lyndsay Stradtner and I am a natural light photographer. While home is Austin, Texas, my family and I are currently traveling the US in an RV fulltime. Yes, we sold our 2,400 square foot home for a 400 square foot RV and couldn’t be happier about it! While our initial goal was to travel fulltime for one year, that quickly turned in to (at least) 3 years. 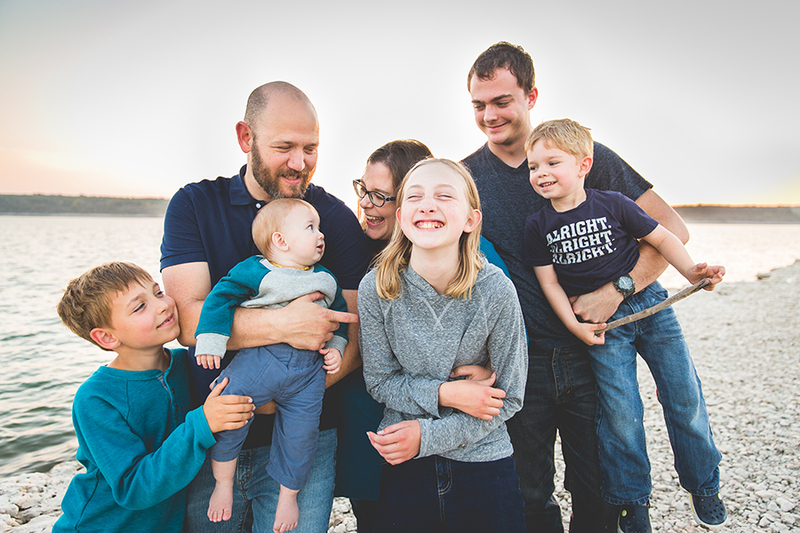 I’d love to photograph your family while on the road – please inquire for details on when we will be rolling through your area. For creative collaborations involving travel photography please email lstradtner@mac.com. My award winning work has been featured in many publications through the years and I’ve done interviews with People Magazine, The Today Show, Yahoo News, the New York Times, Parenting Magazine, Baby Talk Magazine and numerous media news outlets around the world featuring birth photography. Lyndsay is the founder of the International Association of Professional Birth Photographers, an organization that represents over 1,200 birth photographers in 50+ countries. I am married to a really great guy named Jason. With 5 kids (Ty, Taryn, Jude, Jonah and Zachary) and 2 dogs (Maggie and Pepper), our lives are filled with laughter and chaos, and I wouldn’t have it any other way! This blog is a big mix of my personal and professional work. You’ll find it includes a lot of our travel photos, we tend to move around the US quickly, sometime hitting a new city once a week or less. Over the years I have had people ask me why I have combined my personal and business blog into one….and the answer for me is simple. It’s me. I’m a big believer that if you share who you are with people, that it will bless you in ways that you never imagined. That is what my blog has done for me! I also believe that my personal work and the images I capture for other families co-exist. One relies on the other and vice versa as I grow as an artist. So, this blog, is very, very…..well….me, all over the place, busy, creative and real. I have the best job in the world. I get to hang out with great people, big and small, play, have fun and do what I love. I think it’s an honor to get a glimpse of other people, to see how they live and love and to capture the real and meaningful little details of life. I hope you’ll stick around and get to know us, and the wonderful families I get to photograph. Feel free to jump right in and join the chaos!. Image courtesy of Paige Wilks.